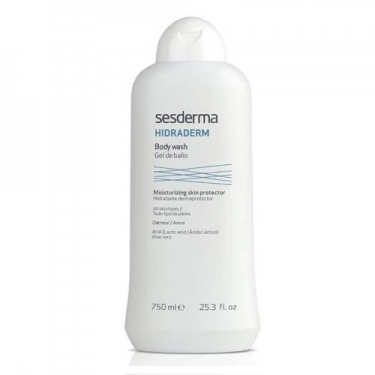 DESCRIPTION: Hidraderm Body Wash Moisturizing Protector from Sesderma is a hygiene care indicated for dry skin but suitable for all skin types. Formulated with Hyaluronic Acid and enriched with Aloe Vera and Milk Acid, it cleans gently and effectively, provides and stimulates hydration and has regenerating properties while soothing and comforting the skin. Apply on wet skin and lather up.